mini moto law, fight the small minibike ban. Remain up to date on the rules. Mini moto law and the rule-breakers have been a point of contention for some time. The reason being many have abused the road laws in their country. 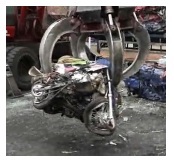 Some police forces do crush mini motos when they fall foul of the law. Some laws insist on the wearing of a crash helmet, and bikes must be taxed and insured. You must make sure wherever you are - you’re aware of your legal status. If not you could end up losing your bike. For the sake of a few hours of proper research your mini bike will be safe and so will you. Keep yourself up to date on local laws for mini moto’s and have fun, the law is there to help and make you feel safe. Getting into trouble - mini motocross racing? 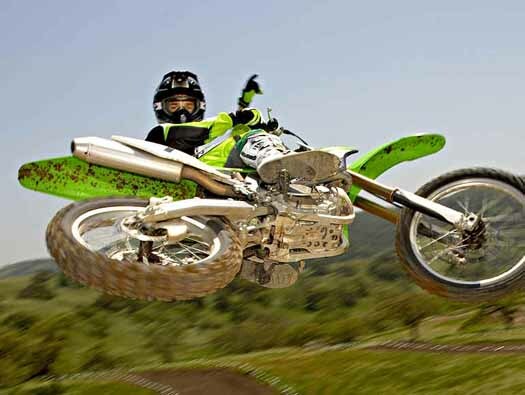 Laws Enacted Governing Mini Moto Use - facts about motocross small bikes. Mini motos, also called "pocket bikes," are typically quarter-scaled versions of a full-sized motorcycle. Because they are also relatively less expensive than the usual sized motorcycle, they have become a popular choice for cheap transportation while maintaining a high-performing operating experience. This popularity has led many states and other government entities to legislate mini moto law. What is a Mini Moto? These pocket bikes, or mini motos, are either gas or electric powered possessing displacements from 49 to 125cc. Gas-powered versions are powered by a small two- or four-stroke, single-speed, small displacement engine driving the rear wheel by a chain. These are the same types of motors normally found on a variety of basic yard cutting and cleaning equipment that use regular gasoline. Electrically-powered mini motos employ a small battery as the power source. Although mini motos are available in many styles, the most commonly preferred is a sports-like racing choice. Why a Mini Moto Law? These vehicles are usually marketed for off-road use only. This means they are not legal for transportation on surface roads and highways where public conveyance and private motor use navigate. Yet, manufacturers have taken to creating versions complete with headlights, turning signals, speedometers and brake and tail lights intending to make these models street legal by calling them "motor scooters." 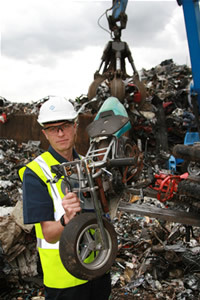 A motor scooter has been defined as a vehicle employing a low-powered gas engine operating on small wheels - much like putting a motor and handlebars on a skateboard. Some states have their own definitions when creating a mini moto law. The state of Pennsylvania classifies motor scooters and motor-powered cycles (two wheeled vehicles) both as motor vehicles requiring owner registration and an operator license to drive on public roads, trails and even sidewalks. Tennessee requires operators of mini motos to acquire an "M-limited" endorsement to an operator's license in its legislated mini moto law. Once a mini moto is registered and then driven on public roads, all laws must be observed including any mandates for carrying liability insurance. California defines pocket bikes, or motos, as motorcycles where the vehicle has a seat, or a saddle, that the rider sits upon. The vehicle travels on three wheels or less and must weigh less than 1500 pounds. Furthermore, these vehicles operate motors displacing 150cc or less. This means that a mini moto owner in California must register the vehicle as a "motorcycle." However, mini motos are manufactured without a VIN (Vehicle Identification Number). Many states, including California, do not allow the registration of vehicles without a VIN. The creation of mini moto law aims by different legislative bodies has become popular in an attempt to address public safety concerns. The fix for seeking getting around a mini moto law and use of a small motorbike for both off and on-road uses may lie in owning a dual sports bike. When you are looking for a powerful, yet lighter, motor bike that can act as personal transportation yet serve your off-road activities, how can you go wrong getting all your needs in one awesome machine? The first benefit - and possibly greatest -is no need to purchase and maintain two separate bikes which can present both financial and physical challenges. The second - is only having one set of documents to keep safe, and one gasoline fill-up. You will of course need to change your off road tires back to smooth road ones on Sunday night if you don’t want a bumpy ride to work. But that’s the beauty of a dual-sport bike. Seeing an 80cc dirt bike for sale looks good doesn’t it? But be aware even the most popular dirt bikes, are not street legal unless they have been specifically adapted that way. When performing a dirt bike jump, on a public highway on an illegal bike - guess what - it will get you into trouble. So when race day comes - transport your bike from track to track using a rear vehicle rack, on your car or truck that way you have no danger of any law issues.